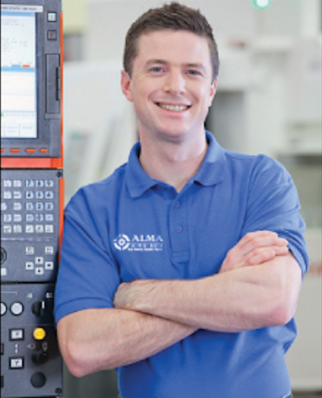 ALMA TECHNOLOGY SDN. BHD is a leading Distributor, Wholesaler, Manufacturer and Exporter of high-end CCTV, Surge Protector/Lightning Arrester and other security products. 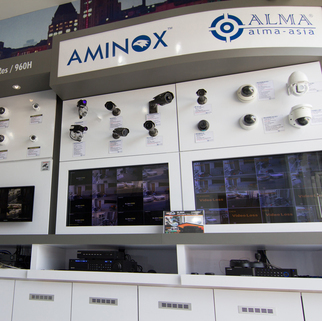 ALMA carry a full line of quality assured CCTV products from all types of security cameras, HD 960H Analog series camera, PTZ Camera, DVRs, NVR, HVR, Full HD IPC, HD TVI, HD AHD, HD CVI, HD SDI, lenses, power suppliers and accessories. Alma Group has a company which is specialized in Surge Protector/Lightning Arrester in Video, Power, Data and Ethernet development and manufacturing in Malaysia. ALMA Technology (HK) Limited is take part of China sourcing and CCTV production with Malaysian + Chinese Management. We have a strong sales team and we have established the long term business relationship with the famous domestic security cooperation already. We have established the reliable foreign trade business relationship with many customers from nearly 40 foreign countries. We have a high-quality R&D team with a set of advanced equipment and many technicians who are all well experienced in the field of radio, video, network, data and surge protector products. We have established a perfect QC department to strengthen the employee’s quality idea train them on quality knowledge and work skills termly. The skillful production lines with strong quality ideas and strict disciplines has been laid a stable foundation in producing and distributing high-quality CCTV cameras and Surge Protector products for us with very powerful technology skills. Having customer satisfaction is our company’s dignity forever we will make great effort to develop new and top-quality products meet your special requirements for the research and development of the products and provide you perfect service system consisting of pre-sale, on-sale and after sale service. Relocate Central Region office to No 7-G, Pusat Perdagangan One Puchong, Jalan OP 1/6, 47160 Puchong, Selongor.